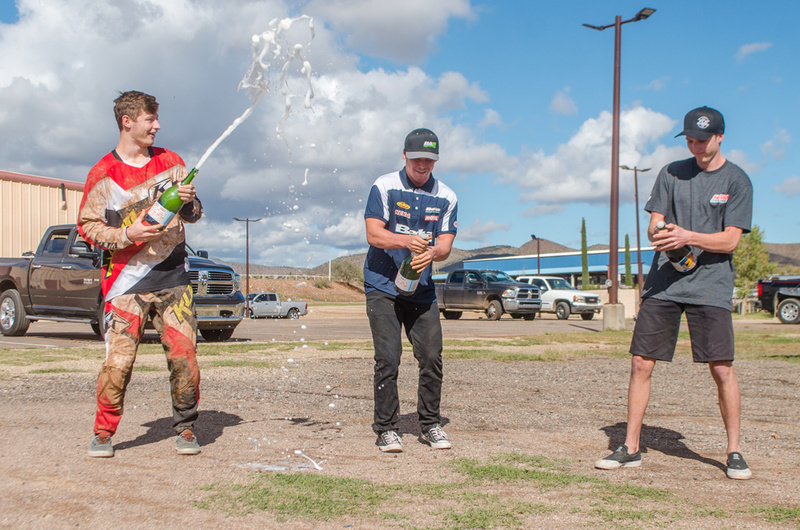 Globe, AZ (October 14, 2018) – Round 2 of AMRA’s Offroad Championship presented by Motocity and hosted by Rock Stars MC took place in Globe, Arizona after consecutive days of rain. With deep mud and puddles up to racer’s footpegs, the Prison Break Hare Scrambles looked similar to the East Coast GNCC rounds. With a break in the rain, the weather cooled off to 60 degrees and the sun came out for the day’s races. In the AA class, Ryan Wells, Mason Ottersberg and Kyle Hutcheson would be the first three across the line on lap one, caked in mud after multiple trips through near-impassible pits of mud, steep inclines, and tight single track. Lap two would keep the trio in the same order until Wells would fall to third on lap three, with Ottersberg and Hutcheson taking first and second. Lap five would end Wells’ day as a mechanical malfunction would kill his bike in the pits. Zack Brawner would take over third place and race to catch up to the leaders. Over the next two laps, Ottersberg would take his Beta to a commanding three-minute lead, with Hutcheson’s Husqvarna finishing 22 seconds ahead of Brawner’s KTM. The podium would split $1000 after a hard, muddy race that is rare among Arizona offroad racing. Ottersberg’s sponsors include Factory Beta USA, FMF, Kenda and Motul. Hutcheson is sponsored by Fly, Acerbis, Spy, AEO, Gaerne, Twin Air, Flo Racing, and Brawners sponsors include Fly Racing, IMS, Acerbis, Bell, EKS, Twin Air. The top 10 would finish with Brent Larsen, Jim Herrero, Alec Brawner, Skylar Thornton, Nick Gabbert and Ryan Wells. 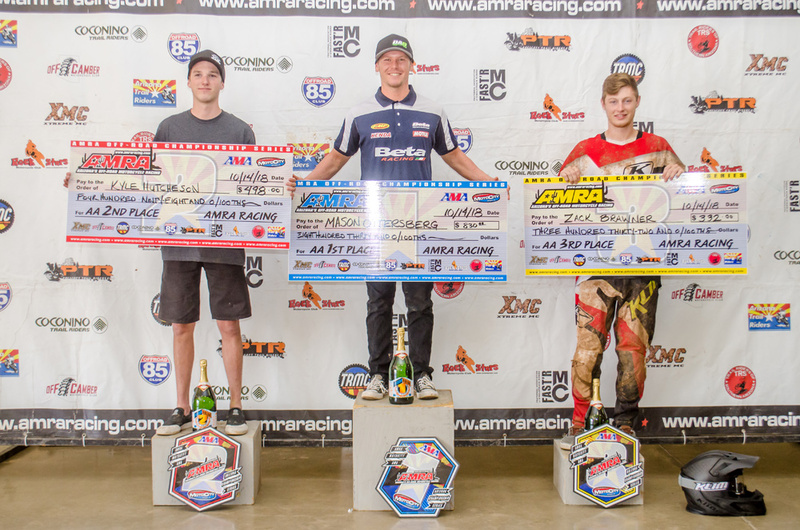 For the Overall B results, it would be Cole Cherick (KTM), David Fullmer (KTM), Beau Law (KTM) Nicholas Fisher (YAM) Joseph Brown (KTM), Jeff Baker (KTM), Cody Monroe (KTM), Drake Hacker (KAW), Jacob Ellison (KTM) and Brian Curless (SUZ). For the Overall C results, top 10 includes Richard Evans (YAM), Kevin Bradley (KTM), Wyatt Riegel (HUSQ), Thomas Brown (HUSQ), Kari Meyer (KTM), Craig Johnson (Unknown), Jeremy Nelson (Unknown), Joshua Kirk (HON), Deegan Bauch (HUSQ) and Dominic Craighill (KAW). The Women classes had Catalina Springstroh, Brea Core and Tracy Evans take the top three positions in Women’s C, with Shelby Dilcher and Pamela Grim competing but ultimately not able to finish, and Diana Trapp winning Women’s B. The Youth class had Dominic Craighill, Kase Anderson and Alex Trapp taking top three, with Willem Fulk, Ruffin Dodson, Ezra Johnson and Todd Balvin rounding out the class. 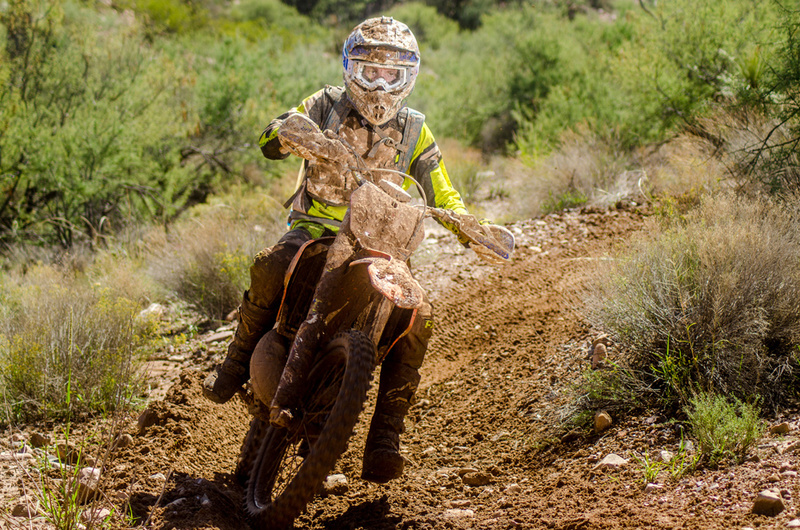 The 2018 Prison Break Hare Scrambles challenged all racers with rare Arizona conditions. The next round is the Freedom Hare Scrambles scheduled for November 11 at 3C Ranch in Oracle, Arizona, presented by Xtreme MC.